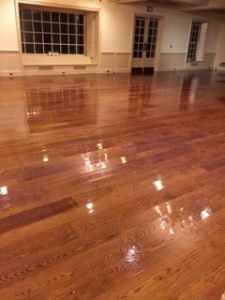 Professional Commercial Cleaning of Rye, New Hampshire offers outstanding quality maintenance services. We put a high value on our local businesses and seek to provide them with a dedicated and trained service team. 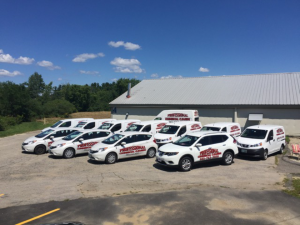 Our full fleet of vehicles and staff are ready to provide you with the best service possible. Our greatest strength is our specialized janitorial, commercial cleaning service. You’ll receive the peace of mind knowing you and your employees are operating in a sanitary & healthy environment. We service not only office buildings, but also a diverse array of businesses and municipal facilities. This includes medical buildings, industrial spaces, and even banks. Local churches, family and corporate operated retail stores & restaurants have largely benefited from our services. Our team has a lot of pride in what we do, day in and day out. We work on a time that works for you. Contact us today to speak with one of our service specialists. Let’s talk about your schedule and arrange a fair price for the services you need. Your business will be cleaned by experienced professionals who have been trained with state-of-the-art equipment at Professional Commercial Cleaning. We are your number one choice. Every business has looked into janitorial cleaning. This service is widely needed and almost required for businesses to function. When you are searching for that company, you’ll want one that gives a lot of their attention to detail – without the extra fees or hidden charges. Mandatory features in your search include eco-friendly, quality control, and great customer service. The commercial cleaning industry is a very competitive one, so the company you are looking for best have an excellent reputation and recommended highly. These types of companies are scattered, but in eastern New Hampshire, you’ll need to look no further than Professional Commercial Cleaning. We assign a quality control representative to all of our client’s accounts and your satisfaction is our number one goal. We include an in-depth list of services that are too long to list here. These services include vacuuming entryways as well as carpeted surfaces, mopping tiled floors & waxing, desks, counters & bathroom sinks are sanitized, cleaning windows, mirrors and reflective surfaces. We empty trash, sweep, & a lot more. Finding a janitorial cleaning service can be tough, and finding another that competes with Professional Commercial Cleaning’s commitment to you is a challenge. We are located at 4 Progress Drive right near Rye in Dover, New Hampshire. Give us a call today at 603-743-3930. Let’s get an appointment set up and you’ll worry less about your office cleaning. 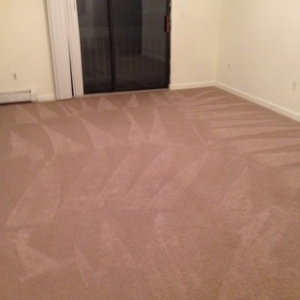 Our professional and reliable carpet cleaning team offers an in-depth analysis of each job site visited. This helps us to figure the best services needed and how often we should clean. This provides a more accurate cleaning schedule. We are sure as a business owner, that your business is your top priority and we make sure that there is no interruption to the flow of your business. Every carpet is vacuumed with top equipment and sanitized, taking the time to spot clean areas that need it. Our customer service includes commitment to you and our team is available to answer your questions. Give us a quick call today! A clean and safe work environment is vital to the success of your business, reducing accidents on premises and liability you will provide to your employees. A safe and comfortable work area makes all the difference! Employees feel safe and happy with their jobs, making them more productive. This means, high profits. Professional Commercial Cleaning helps you reach these goals. We want to be the company you call when your business needs professional janitorial and commercial cleaning.